Key Largo 20' Deck mooring in Marina Botafoch port is a perfect balance of sportsmanship and space. 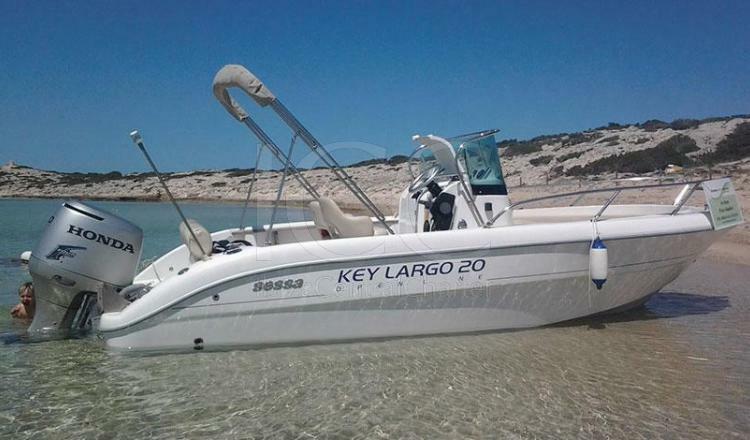 The Key Largo 20 'Deck lends itself perfectly to fun leaks in the open sea or long walks along the coast. It has a length of 6 meters and a design that gives capacity for 8 people to enjoy a day of charter and two people with overnight. 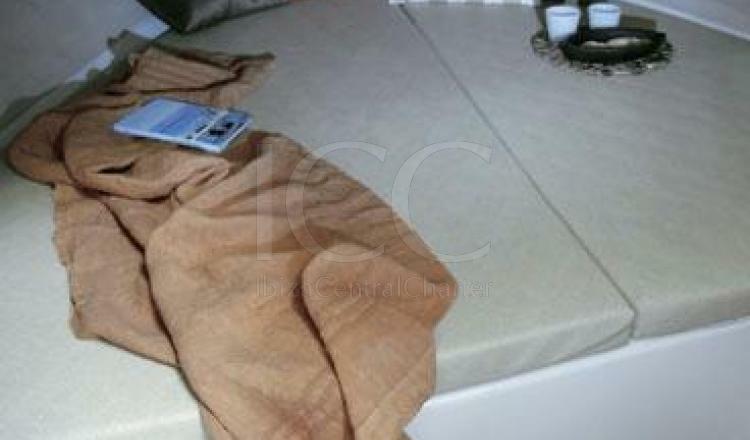 Its large bathtub has room for two people in the government seat, while if passengers can relax with the sea breeze on the aft sofa with picnic table. It also has a large sun terrace in the bow ideal for sunbathing and lying down to watch the beautiful views of the coves of Ibiza and Formentera. For the time to take a dip, it offers a bathroom ladder that will facilitate access to water. 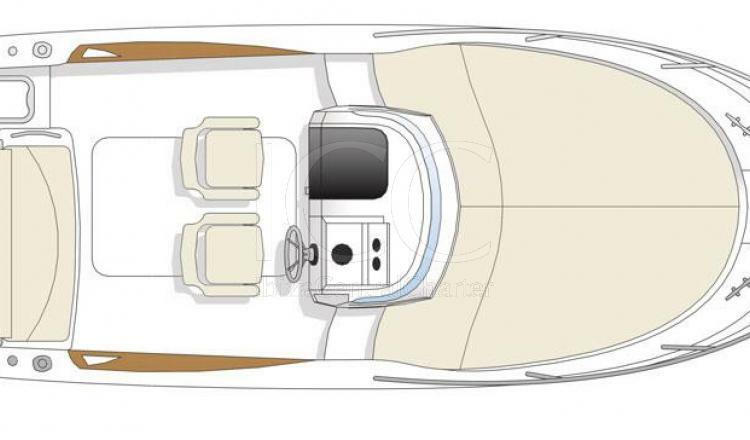 And if at any time you need a break from the sun you can enjoy the bimini awning or, if you prefer, the comfortable master stateroom with a double bed located in the interior next to a toilet. This sporty spirit boat guarantees total comfort on a charter day through the beautiful crystal clear waters of the islands of Ibiza and Formentera. 50% at reservation moment by transfer bank, 50% one month before boarding. Check out: before sun set. Please pay attention to the gas closing hours. 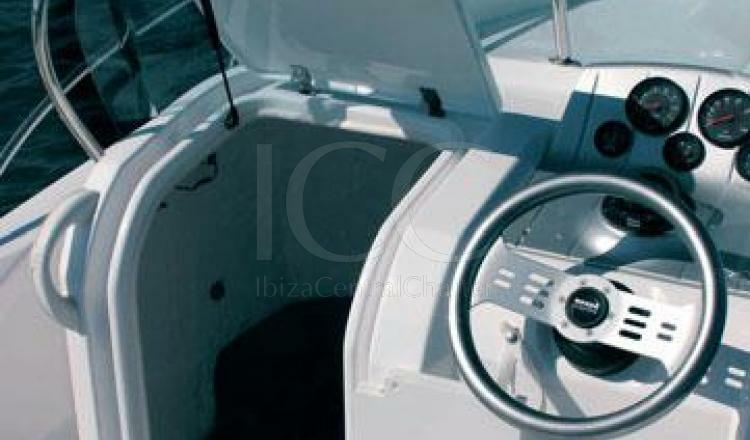 The boat will be handed over with a full tank and need to be returned refilled, otherwise there will be additional charges of 80€.